The City of Paducah 911 Communications Services Division is the primary Public Safety Answering Point (PSAP), providing 911 emergency and non-emergency services to the 65,000 residents within the 251 square miles of McCracken County in Western Kentucky. 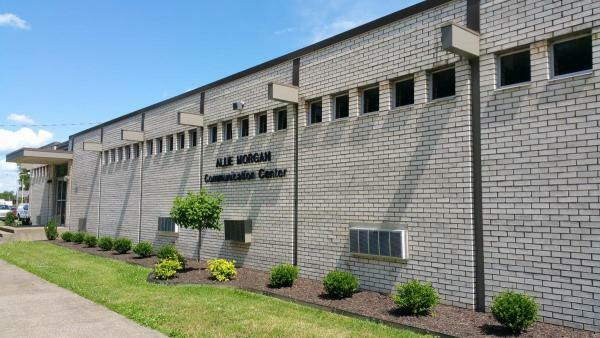 This Telecommunications Center receives calls via 911 and many non-emergency telephone numbers for Law Enforcement, Fire, Medical and Rescue services located in McCracken County. Calls of a medical nature are forwarded to Mercy Regional EMS Dispatch and monitored by a 911 call taker simultaneously to determine if additional services are needed for the medical call. We are operational 24 hours a day, 7 days a week, 365 days a year with a yearly incoming call volume of over 164,000 combined telephone calls. The staff of 23 efficiently serves all of our member agencies and citizens in a professional and expeditious manner. Our staff is highly-trained in all areas of emergency and non-emergency situations to be handled. Each Telecommunicator endures a rigorous 3 month in-house training program in addition to the attendance of the Commonwealth's mandated 1-month Telecommunicator's Academy at the Department of Criminal Justice Training in Richmond, Kentucky. Any job openings for Telecommunicators or other positions in the 911 Communications Services Division are posted on the Human Resources page under Employment. Is 911 just a number you call to contact the Police or Fire Departments? No, 911 is a division, the 911 Communications Services Division, of the Paducah Police Department. There are 22 full-time employees. Of those, 18 are 911 telecommunicators who answer and process emergency and non-emergency calls. When should I call 911? You should call 911 to report an emergency situation including serious medical conditions, injury accidents, and in progress calls such as a burglary in progress or mischief in progress. Any type of incident that could potentially be harmful to life or property would be a situation in which you would call 911. When is it inappropriate to call 911? Please do not call 911 to ask about road conditions, to report that your electricity is out, or to report you have seen a dog running loose down the street. For situations that are not considered to be life or property-threatening, you should call the appropriate department. However, there is a non-emergency administrative number to the 911 center (270-444-8550) that can assist in some situations. How will the 911 center know my location if I call 911 from my cell phone? When you call 911 from a cell phone, the call will connect to the nearest cell phone tower. Each tower has an ESN (emergency service number) assigned to it. That ESN will direct your call to the appropriate local 911 center. Your phone information, along with the GPS of the phone, displays on the 911 screen. The GPS of your phone is then transferred to 911 mapping, and your location will plot on the map. Is it possible to be directed to the wrong 911 center when I call from my cell phone? Yes, if you are close to a county line, you may connect to a cell tower in the neighboring county. If this happens, the 911 telecommunicator can switch you to the correct 911 center with a one button transfer. In the past, I called to report an injury accident on Interstate 24 and my call was never answered by 911. Why did that occur? The majority of people today have immediate access to a cell phone. Many times there are several people who call 911 to report the same accident. The 911 system can easily be overtaxed with multiple 911 calls. When this occurs, unfortunately our staff can answer only so many of the calls at one time. Therefore, some of the calls are unanswered. On a typical day, four telecommunicators are on-duty. If ten people are calling 911 at the same time to report an incident, we will be able to answer only about half of those calls. What kind of questions will I need to answer when calling 911? The most important question to answer is your location. For many years, the 911 telecommunicator would answer the 911 call with 911, WHAT is your emergency? Now, the 911 telecommunicator will answer 911, WHERE is your emergency? It’s very important when calling 911 that you know your location. Other questions include What is your name and phone number? What is being reported? It’s very important when calling to remain calm and answer all the questions the telecommunicator asks. Depending on what is being reported, the telecommunicator will ask follow-up questions. If I accidently call 911, should I just hang up? No, if you call 911 by accident, let the telecommunicator answer your call. You can tell 911 that you dialed it by mistake. Once the telecommunicator understands you called by mistake, you will be allowed to disconnect. At the Kentucky Association of Chiefs of Police (KACP) awards ceremony held Wednesday, August 3, 2016, in Bowling Green, the City of Paducah formally accepted a Certificate of Accreditation for the Paducah 911 dispatch center. In addition to the accreditation program for law enforcement agencies, which the Paducah Police Department is in its third five-year accreditation term, KACP offers a Communications Accreditation Program for dispatch centers. The process requires a dispatch center to demonstrate commonly accepted standards for efficient and effective operations. Furthermore, KACP representatives conduct on-site reviews of records, systems, and dispatch procedures. This accreditation reflects that the agency was carefully measured against an established set of standards and has met or exceeded professionally accepted practices in the profession. Accreditation is a voluntary process that requires a high level of commitment and willingness to improve the agency. Our telecommunicators are the community’s first, first-responders. Day in and day out, they provide an outstanding service with a high degree of dedication to the community they serve. According to KACP, communications agencies are an integral piece of the overall public safety picture and warrant a standalone Communications Accreditation Program. This process provides benefits for the communications agencies including a recognized standard for evaluation, excellence, and accountability, the opportunity to detect any potential deficiencies and enhance operations, and the possibility of reducing liability insurance costs. The accreditation term is four years. For more information about the accreditation process, visit the KACP website. With the creation of the 911 Communications Services Department in 2016 and subsequent organizational shift to become a division of the Paducah Police Department in 2019, the Division provides servicesas outlined in contracts for dispatching service with several user agencies. The Division always strives to improve its service to the user agencies. In 2017 and in 2018, the Department conducted surveys asking for feedback from each agency’s employees who have direct interaction with the 911 Division. The 2018 survey results are below. Each agency was asked the same questions. Which answer best describes your interaction with the Paducah 911 agency? How would you rank the timeliness of calls dispatched by Paducah 911? How would you rank the accuracy of calls dispatched by Paducah 911? How would you rank the responsiveness of Paducah 911 staff when you call via radio? How would you rank the responsiveness of Paducah 911 staff when you telephone with needs/inquiries? How responsive is the Paducah 911 staff when communicating in person? How would you rank the professionalism of the Paducah 911 agency? How well trained do you feel the Paducah 911 agency dispatchers are? How would you rate the quality of service from the Paducah 911 agency? How comfortable do you feel voicing concerns/issues with the Paducah 911 agency? How “welcome” do you feel when on-site at the Paducah 911 agency? On March 25, 2014, Stuart McElhaney with Almont Associates, an independent consulting firm, presented to the Mayor and Commissioners an overview of the operational review Almont conducted regarding the Paducah-McCracken Emergency Communication Center (E-911). The Center receives non-emergency calls and calls via 911 often totaling nearly 160,000 calls per year. Across the nation, 911 services are funded primarily through landline and to a lesser extent wireless user fees. However, the decline in the popularity of landline telephones has left many E-911 centers with extremely tight budgets. The Paducah-McCracken County E-911 Center engaged Almont Associates to search for operational efficiencies. Almont was asked to look at operational design and staffing models, governance structure, and technology and information exchange. After reviewing the current operations and meeting with board members, center staff, and various officials, Almont provided numerous recommendations.